Wow, we’ve now got 7000 people in our Made For School family. 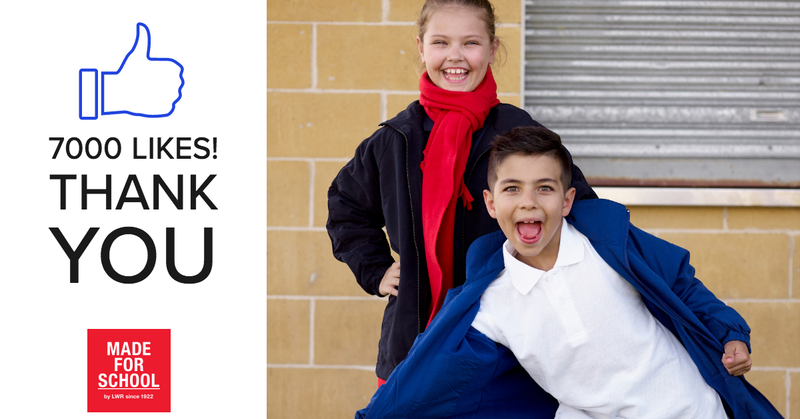 Thank you to everyone who has liked us recently, we hope you enjoy our service, great school uniforms online and the fun that is Made For School. Share the love so your friends and family can discover that buying school uniforms online at Made For School is uniforms made easy!